How much do you love the ’80s? 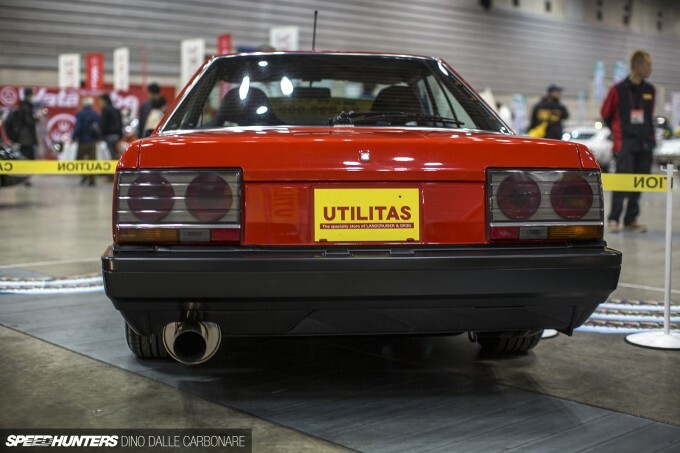 Probably not as much as the guys at Utilitas, who are making quite the case for themselves by choosing to specialise in only a select few Japanese classic models. 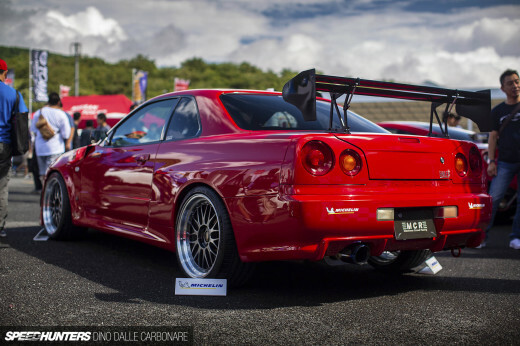 The DR30 Skyline is one of them – be it the zenki or ‘Paul Newman’ faced version, or the car you see here: the Tekkamen or Iron Mask kouki model. 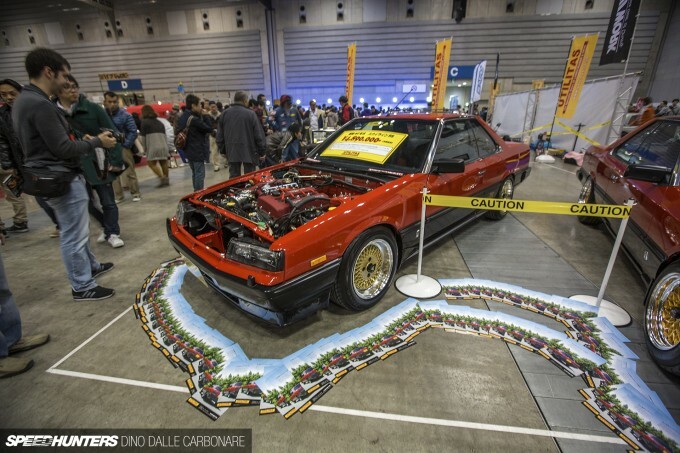 We saw a couple of cars that Utilitas brought to the show last year, but this time around I wanted to give a little more space to one of the Skylines they had on display and up for sale. This Tokyo-based shop specialises in sourcing some of the best Skylines in the country, and then strips them down and brings them back to factory-fresh perfection. 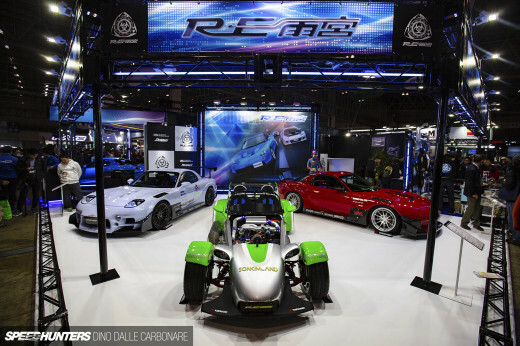 This includes the engine, which in this RS-spec car is the naturally aspirated version of the FJ20. 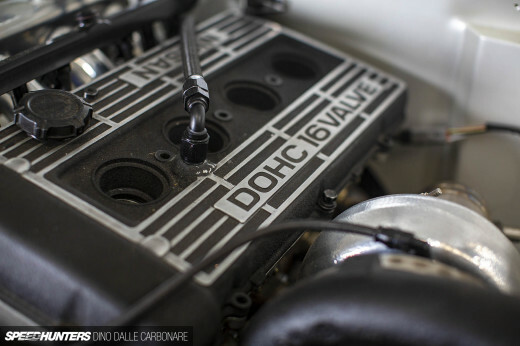 While the engine itself isn’t tuned, it’s been rebuilt and balanced, and outfitted with fresh bearing and gaskets to guarantee its reliability for many years to come. 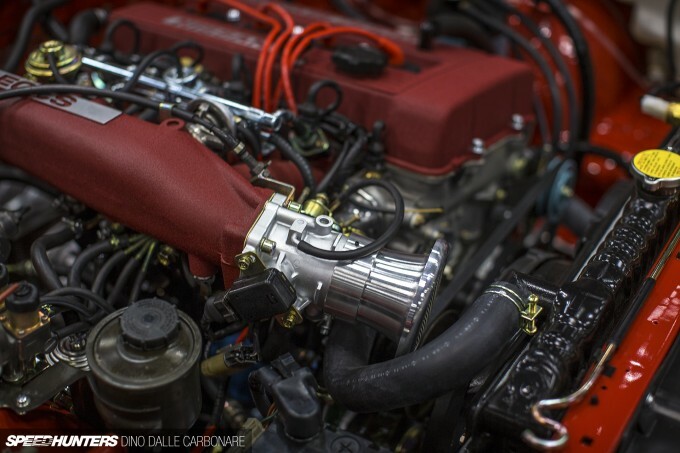 Every rebuilt engine gets a crackle finish on the cam cover and intake, as well as other little details to tidy things up, such as aftermarket ignition leads. Cars are also fitted with a set of Utilitas’s own adjustable dampers, which on this car also benefit from adjustable top mounts. Rather than having the big long plastic tube that connects the inlet plenum and throttle body to the stock air box, all of that has been removed in place of a meshed billet funnel. It certainly looks better, that’s for sure! 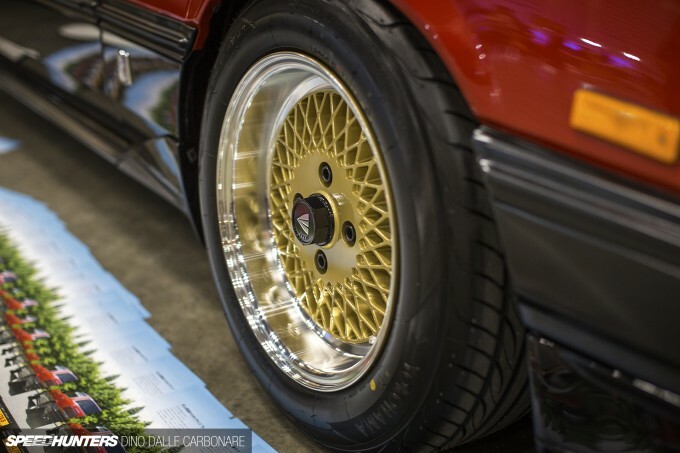 The Utilitas suspension completely eliminates that floating-on-air ’80s looks that these cars came standard with, and drops the car down to a ride height that’s both functional and good looking. While the body has remained stock, the wheels on this car have been swapped out for a set of 16-inch Enkei 92s – brand new rims with the look of the originals to make the exterior really pop. The body has been fully paint corrected and rid of scratches and water spotting, which has brought back the factory gloss. You really have to look at the car in detail to appreciate just how complete the restoration is, with things like windows seals, trim and mirrors having been binned in favour of fresh replacements from Nissan. It’s all completed with a nice stainless steel exhaust. For the amount of work that has gone into extracting the best out of this DR30, the price Utilitas are asking for it – ¥4,890,000 – actually seems pretty reasonable. Plus, they even organise international shipping if you just happen to want to indulge in one of these cars but live on the other side of the world. I’d love to see what Utilitas would be able to do with a BNR32! 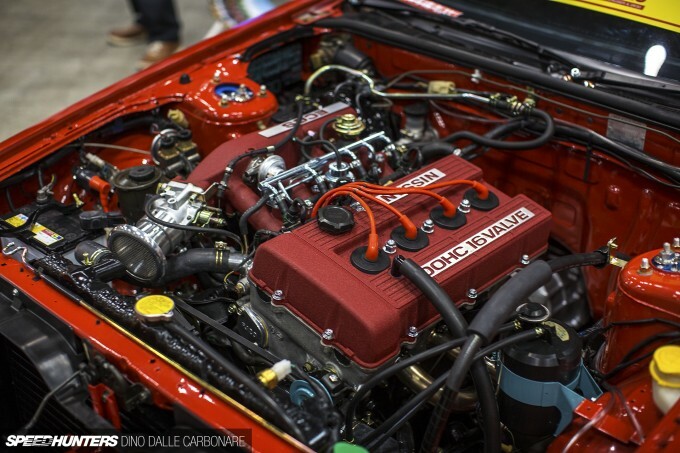 To me, the name "Skyline" will be forever linked to the RB26. It's part of the reason that I always refer to the BNR-chassis cars as Skylines rather than GT-Rs, even if they're actual GT-Rs. This car is to me, like an Australopithecus relative to modern man - sort-of a Skyline but not quite there yet. oldschoolcat Where are you living that you can get an r35 for $50 000? I would like to move there please. In Australia we're paying $100 000+ for the r35 (And that's second hand). $52000 AUD. I think that is properly good value. Same price you're getting a golf GTi NO options. Drive out of the car lot, you lose $10k immediately on resale. That will not be an issue with this. oldschoolcat Really nice R35? I think not. R35 new in Cali for the base is $103,000 so I don't think you are picking up a really nice R35 for $40,852 like this car is priced. oldschoolcat Just under $60,000 here in Texas for second-hand 2009 R35 with $30k miles. In red too! If I was at the stage in my life where I could afford to buy a car purely for enjoyment, I'd get one of these in a second. Hopefully these guys will still be building cars like this (or hopefully my dream car, a 32 GTR) for a while yet. Note to Dino: If Utilitas ever builds a 32 GTR, PLEASE feature it as soon as possible. Thankyou. FJ-powered, ironmask-front, in red over black with gold decals..
Not a 20et, but too much else is too right to care! Saw this car (among MANY other quality cars) in person on sunday. Even saw you wandering about..! nice car!!! this car was so underrated and did not get the respect it deserved but i am glad to see someone out there loves it. any features of R31 House? I remember them from Best Motoring. 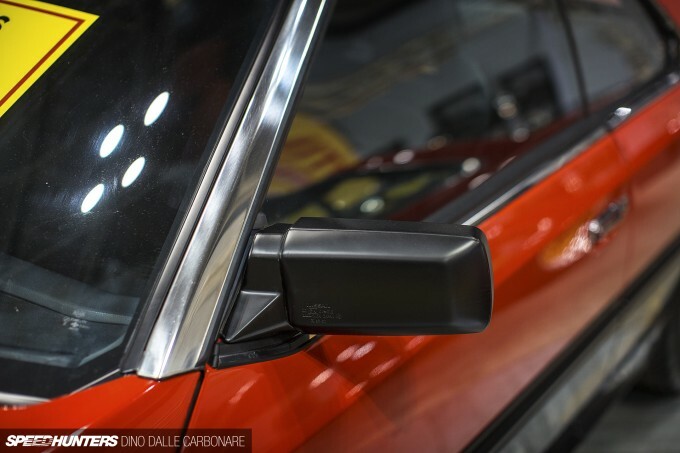 Thanks Dino for this feature and expect to see more buzz on R30 and R31 stateside. Mahfoodh It's $40,000. Where did you get the 80k thing from? speedhunters_dino WillAnton Out of interest Dino, what are new car prices like in Japan compared to the rest of the world. In OZ we are plagued by excessive import and luxury car taxes. Nowhere near to the extent of Singapore, but nevertheless too high. With the auto industry coming to a standstill in Australia, these import taxes and laws will hopefully be amended. speedhunters_dino Mahfoodh £27k seems like a steal for such a clean example, although I would like a snail under the bonnet. I always want a snail under the bonnet. Can they make a LHD conversion? 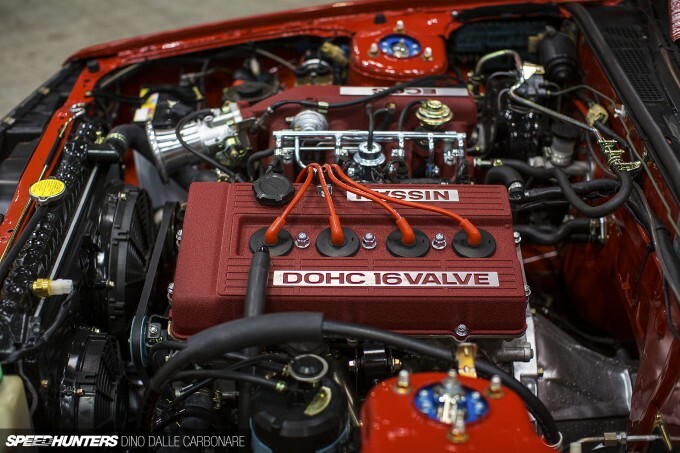 Great feature Dino, features like theses is why i love Speedhunters. in South Africa we got the GTX 2.8 straight-6. It was and still is a beautiful car, that's if you can find one in a good condition. I love the fact that this car is so clean and "minimalistic". Ugh, so good. I met Yuchi-san when he was here in the states, He came over to my buddy shop saw grabbed a magazine off the rack and pointed to a picture of him drifting in a 180. It was funny. but yea, great guy. loves taking selfies. I think google is having an issue converting yen... I had a similar mistake the other day with the tires. 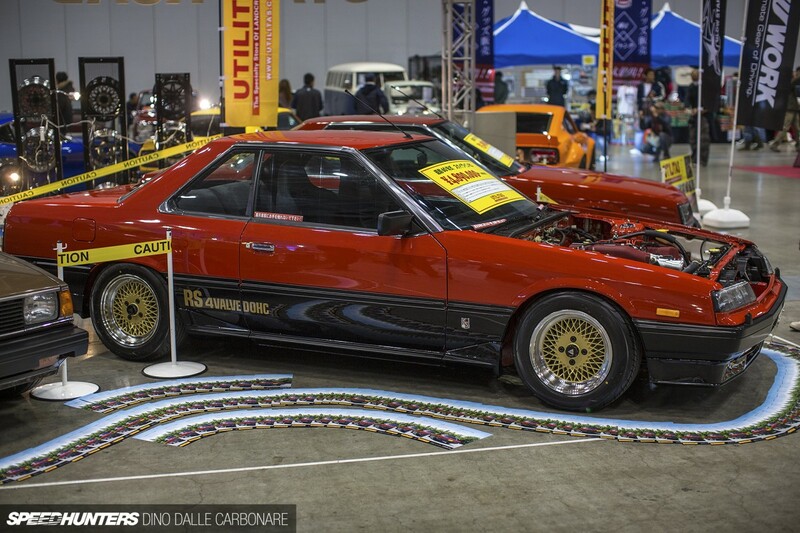 jeeeeeeeeeeeeeeeez £26,000 for an R30? Sorry I just kinda remember when a nice clean one might have popped up for about £5000 max or about £8000 OTR after all the import junk. Not like this though - this is gorgeous but it's almost a shame to lose the patina and "character" in an older car. I'd be afraid to drive it I think. I'd better start saving my pennies or perhaps marry a Saudi prince - all the classic Skylines seem to be headed out that way anyway, lol. Does the interior look brand new also? I would go nuts driving in the right seat..
speedhunters_dino mazari oldschoolcat They used to say that about the KenMeris, most people in Australia though they were crap until about 15 years ago.